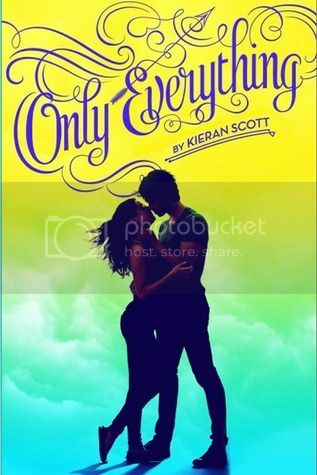 I couldn’t wait to start reading Only Everything by Kieran Scott. I had read her ‘He’s So/She’s So’ series a while back, and really enjoyed the series. With Only Everything having Greek mythology involved, I was super excited to see what kind of story Scott had created for us. This book is the beginning of a wonderful series! The story is about Eros, also known as Cupid, who is banished to Earth after defying the almighty Zeus for falling in love with Orion. The only thing that can get her back to Olympus is to make three couples fall in love, without using her powers. With a plan in mind, she starts high school under the name of True Olympia, and sets out to find three couples to make fall in love, so that she can return to Olympus and her beloved Orion. Before losing her powers and being cast down to earth, True had no problem making people fall in love. It was easy for her, all she had to do was listen to a person’s hopes and dreams, and she could easily find a match. But now that she’s powerless, it’s not quite as easy as she expected. After many failed match-making attempts, True starts to wonder if she is going to be stuck on Earth forever, but with a little help, she may just be able to find her way back to Olympus after all. I found a lot of True’s attempts at living on Earth to be pretty funny, and it took her a while to catch on to everything. When she wasn’t rushing to make people fall in love, we get to see a side of True that is very kind and caring. I really enjoyed this side of True the most. The first couple in the story that True tries to help fall in love are Charlie and Katrina. Charlie is a band nerd who loves music, but has never been part of the popular crowd. At his new school, he’s befriended by the jocks, and even joins the cross country team at school. Katrina is a smart girl who is struggling after the passing of her father. She’s trying to get back on track with her grades and actually make something of herself, but it’s hard when it feels like everything is against you. Both of these characters were just really great people. While there were some moments in the novel that really made me want to grab them and shake some sense into them, I still really enjoyed watching this relationship slowly come together. It was very sweet. The storyline for this book was super creative. I’ve read quite a few books dealing with Greek mythology, but none that have dealt with Eros/Cupid at all. I enjoyed the reading the history of Eros, and I’m super curious now to know more. The ending of the book had me almost squealing, and now I’m impatiently waiting to get my hands on the second book to see what’s going to happen for True! Overall, I really enjoyed reading this book! It was a cute read, and I can’t wait to see what’s going to happen in the next installment, Complete Nothing, due out in September!